Do you tap and pay? Join the majority of Australian card holders and enjoy the convenience of the contactless payment revolution! Australians have the highest use of tap and pay cards in the world with 90% of face-to-face payments being made with contactless technology. Convenient, safe and secure, tap and pay payments for purchases under $100 are now used by more than two out of three people when paying for everyday items with credit or prepaid gift cards. Australia leads the world with tap and pay, and as more consumers appreciate the convenience and speed of contactless payments, the use of tap and pay cards and wearable payment devices is increasing. Can tap and pay be used anywhere? Contactless payments have become popular since most of the larger retailers have adopted the system at the checkout, where many consumers use their cards. Widespread infrastructure supports the system in Australia and enhanced payment terminals have also been adopted by small businesses and used in vending machines, increasing the use. The use of cash for small transactions is declining as tap and pay allows customers to pay quickly and easily, without entering a PIN at the checkout for transactions under $100. While most credit card users are happy to take advantage of the convenience and speed of tap and pay, many users do not understand how the technology works. How does tap and pay work? Payments must be under $100. Tap the card on or near the terminal and wait for the tick to display. The card needs to be up to 4cm away from the card reader for the technology to work. Chip that transmits information to the POS terminal. An embedded radio antenna sends radio frequencies, allowing the contactless payments. The technology is commonly associated with credit cards but Visa and Mastercard prepaid cards are also embedded with NFC and can be used in the same way as a credit card provided there are funds on the card. Is tap and pay secure? 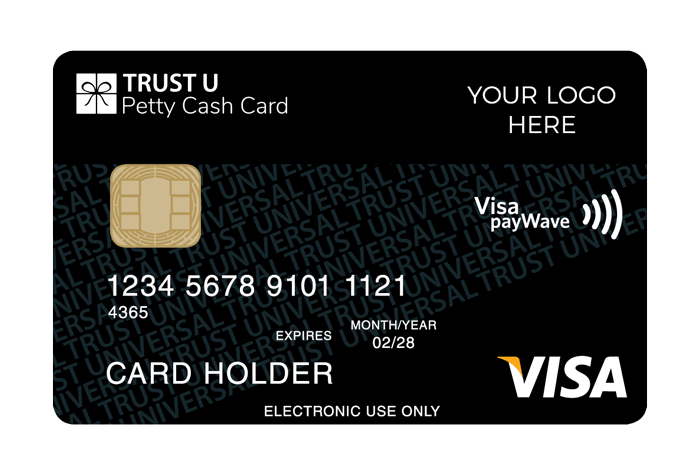 All Visa payWave and Mastercard PayPass cards use built-in secure encryption (cryptographic key) technology, which ensures data protection and transaction security. Each transaction generates a unique code that is tracked and prevents double-billing. The card holder is protected against unauthorised transactions or fraud with a zero-liability policy that means any fraudulent transactions are covered with 100% reimbursement. What’s next for contactless payments? The market is moving to expand the reach of contactless payments with digital wallets and smartphone payments. More recently wearable payment devices such as the wrist band, the halo ring and the introduction of fingerprint technology and cardless cash are being adopted by tech-savvy consumers. Do prepaid gift cards have tap and pay technology? Visa and Mastercard prepaid cards may be embedded with the same NFC technology as credit cards. Check the symbol on the card to verify it can use the contactless terminal. When planning a customer acquisition or cashback program using prepaid gift cards as an incentive, businesses can add value to the cards by opting to include the convenient tap and pay technology. As well as being a billboard in the wallet, the card then features additional convenience and security and has the added feature of being able to be used at an ATM to withdraw funds. Prepaid gift cards with Mastercard or Visa branding can be issued in any denomination you specify up to $9,999 and can be used anywhere that Visa, Mastercard are accepted in Australia and around the world. Contact Corporate Prepaid Cards, the experts in prepaid where you can select from a range of card designs or arrange custom branding ensuring maximum brand recognition, in partnership with the globally recognised brands of Visa and Mastercard. For cashback programs, Corporate Prepaid Cards will set up the secure cashback website with your corporate branding, so customers can make claims. Corporate Prepaid Cards provides detailed administrative reporting for you to manage your budget, view customer trends and keep track of sales and rebates. 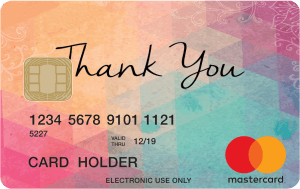 For more information on prepaid cards with contactless payment technology, visit the website at corporateprepaidgiftcards.com.au, phone 1300 128 219, or email info@corporateprepaidgiftcards.com.au.